If you’re in San Diego, you’ll be happy to hear that your city is the first in California to establish regulations for the entire adult use cannabis supply chain. San Diego has finalized its legalization of recreational marijuana cultivation and manufacturing, which means there likely won’t be a delay if you want to purchase cannabis products within city limits when California launches its adult use market in January. The City Council approved the regulations last week, making San Diego the very first city in California to have a fully regulated supply chain for cannabis. California voters approved Proposition 64 last November to become the fifth of what is now eight states to legalize recreational marijuana. The measure was supported by 56 percent of state voters, including 61.6 percent of voters in San Diego. Under the new state law, if you’re over 21 years of age, you’ll be able to purchase up to one ounce of marijuana use for personal use and personally cultivate up to six cannabis plants. California, which already dominates the nation’s cannabis industry, is expected to sell an estimated $5 billion in recreational marijuana annually. The new rules passed by the City Council include legalizing the indoor cultivation of marijuana and the manufacturing sites of edible products. The City Council Members, who approved the legislation in a 6-3 vote, believe the new regulations will improve the quality and safety of local cannabis products, create jobs, prevent a local “black market” of unregulated growers and producers, and provide an economic boost for the city. The council did make some minor changes to the original legislation that had obtained the first of two necessary approvals in September. The changes include requiring that San Diego marijuana production businesses have “odor-absorbing ventilation and exhaust systems” to prevent cannabis’s sometimes imposing scent from bothering neighbors. They also permit testing lab to be located within city limits. “I believe it’s our obligation as the City Council to have responsible regulations of all parts of the supply chain,” said Councilwoman Barbara Bry, who voted in favor of the legislation. Opponents to the legislation argued that it was passed without adequate public input and complained that the city should have prohibited new production facilities from exporting cannabis products outside the city. Scott Chipman, leader of an anti-cannabis group called San Diegans for Safe Neighborhoods, argued that legalizing marijuana in San Diego would encourage teen use. Studies have found that adolescent cannabis use has decreased in Washington since the state legalized adult use marijuana in 2014. Recently, findings in a nationwide survey indicate that teen marijuana use has decreased as more states have passed recreational marijuana laws. There’s a chance that San Diego’s Republican Mayor Kevin Faulconer could veto the new legislation, but the City Council has the six votes it needs to override his veto. Earlier this year, San Diego’s City Council passed rules permitting its already-operating medical marijuana dispensaries to expand into the recreational cannabis market when adult use sales begin January 2018. 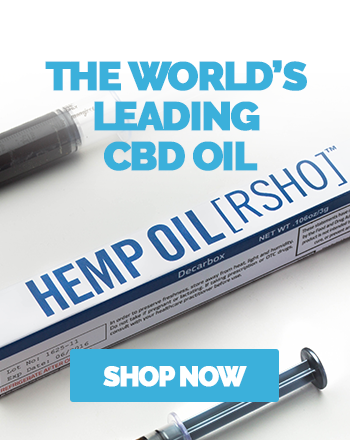 Cannabidiol (CBD) hemp oil products, like Real Scientific Hemp Oil™ (RSHOTM) from Medical Marijuana, Inc., are already legal and available to purchase in San Diego and most major markets. You can keep up with the nation’s growing legal cannabis industry by regularly visiting our news page.